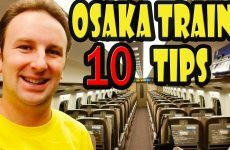 Things YOU need to know before you travel to Osaka Japan. Osaka is the third most populated city in Japan with 2.7M in the city and 19 Million in the region. Osaka is often overlooked for Tokyo and Kyoto, but Osaka has its own charm that makes it a wonderful destination for visitors. 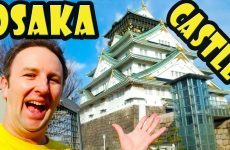 Osaka is a welcoming, exciting, and place that should really be on your travel radar! Osaka is located on the main island of Honshu, roughly in the center of Japan. Osaka is a great place to base yourself when visiting Japan. 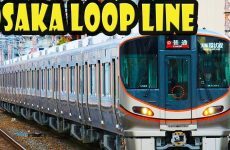 In the centre of the Kansai region, landing at it’s international airport will place you within an hours local train journey to Kyoto, Nara and Kobe. Osaka is worth worth 3-5 days. 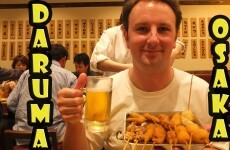 Osaka is famous in Japan for their food. Its nickname is “the nation’s kitchen”. 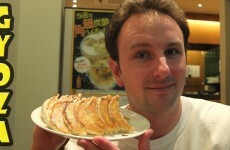 Most well known: okonomiyaki, which is a dish made with meat, seafood, and noodles. Takoyaki, delicious fried octopus balls that are sure to curve your hunger cravings at night. Osaka is home to 200+ Michelin starred restaurants and Dontoburi is the epicentre of that. Umeda Sky Building is one of the tallest and most impressive buildings in Osaka. It’s more like two buildings connected by a bridge at the top. There’s a great observation deck at the top called the Kuchu Teien (“Garden in the Sky”) Observatory. Dotombori Arcade runs parallel to the canal on the south side and it’s lined with some of Osaka’s most famous and largest restaurants, which compete for business with huge signs and giant mechanical crabs etc. Two small blocks east of Midosuji and two small blocks south of the Dotombori Arcade, you’ll find one of the most beautiful streets in all of Osaka and it looks like it was magically transported from somewhere in Kyoto. Entering this street is like slipping 200 years back in time. Den-Den is the city’s electronics, camera, computer and pop culture shopping neighborhood. 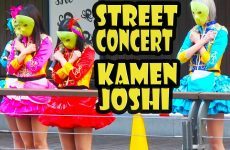 It’s about 10 minutes’ walk southwest of Namba Station, in Nippombashi, running roughly between Nippombashi and Ebisucho stations on the Sakaisuji subway line. Many of the shops here have someone on hand who can speak English, so don’t be afraid to ask for help when looking for something.